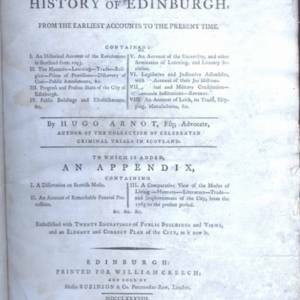 Advertisement in Edinburgh Fugitive Pieces. 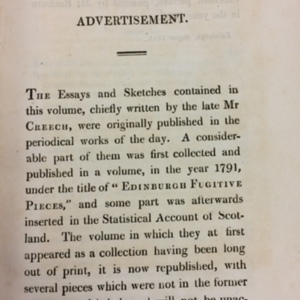 The advertisement page of the 1815 edition of Edinburgh Fugitive Pieces, published after William Creech's death. 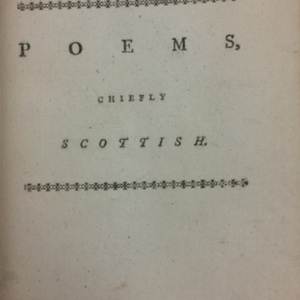 The publication information page of William Creech's 1788 Edinburgh edition of Robert Burns' Poems, Chiefly in the Scottish Dialect. 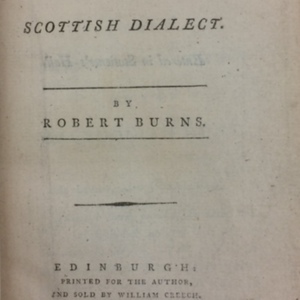 The title page of the 1788 Edinburgh edition of Robert Burns' Poems, Chiefly in the Scottish Dialect. 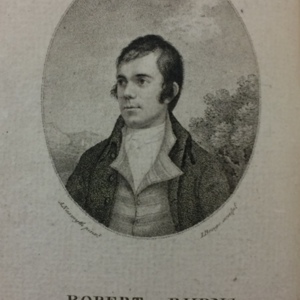 The portrait of Robert Burns included in the 1788 Edinburgh edition of Poems, Chiefly in the Scottish Dialect published by William Creech. 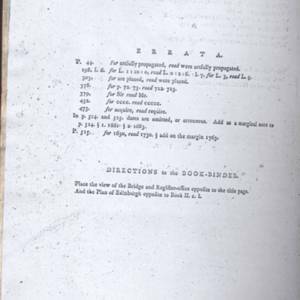 The errata page of William Creech's 1779 printing of The History of Edinburgh, including instructions to the bookbinder. 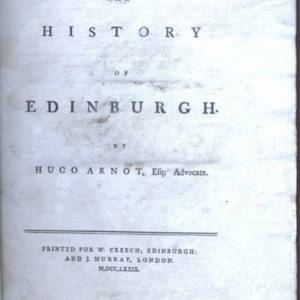 The publication information as it appears in the 1779 printing of The History of Edinburgh by Hugo Arnot. 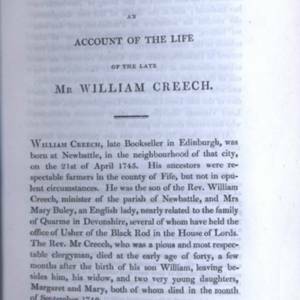 The first page of the introduction to the 1815 printing of Creech's Edinburgh Fugitive Pieces, following his death. 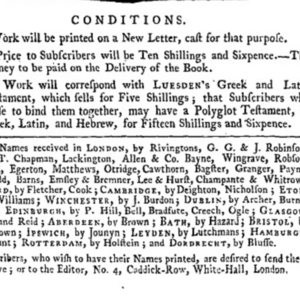 The conditions placed upon a call for subscriptions, issued by publishers in both England and Scotland circa 1789. 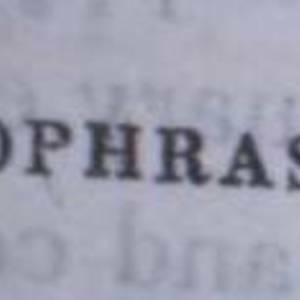 William Creech's pen name, as it appears in Edinburgh Fugitive Pieces. 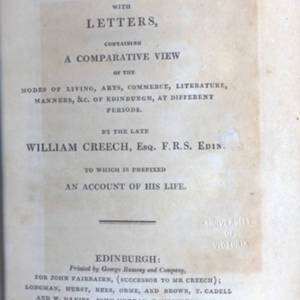 The title page of the 1815 edition of Edinburgh Fugitive Pieces, published after William Creech's death. 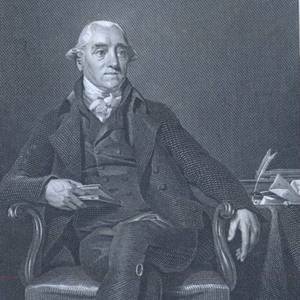 The portrait of William Creech included in the posthumously published edition of Edinburgh Fugitive Pieces. 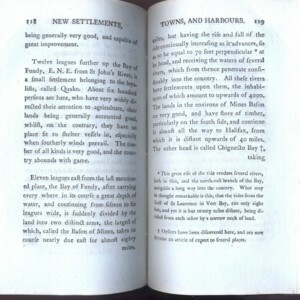 The errata page as it appears in the second edition of Hollingsworth's The Present State of Nova Scotia. 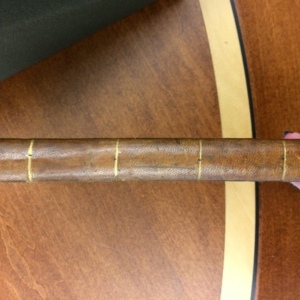 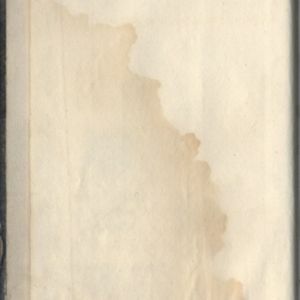 Water damage on the front paper of Hollingsworth's The Present State of Nova Scotia. 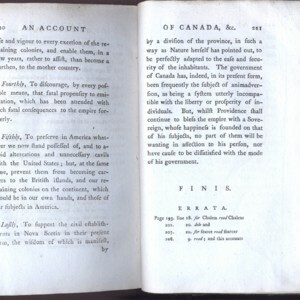 An example of footnotes in Hollingsworth's The Present State of Nova Scotia featuring two different symbols. 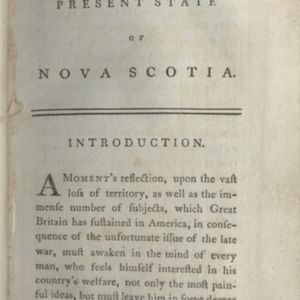 The first page of the introduction in the second edition of Hollingsworth's The Present State of Nova Scotia. 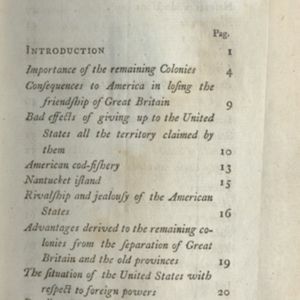 The table of contents as it appears in the second edition of Hollingsworth's The Present State of Nova Scotia. 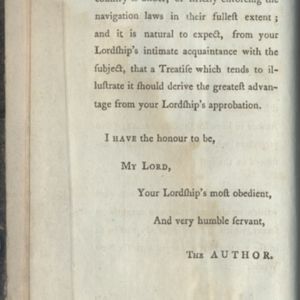 Second page of the dedication letter in the second edition of The Present State of Nova Scotia, addressed to Lord John Sheffield.